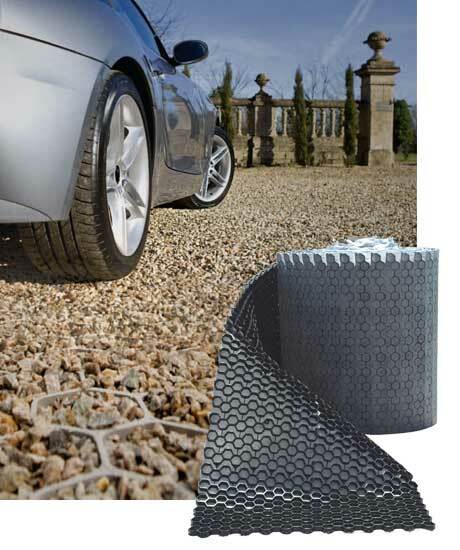 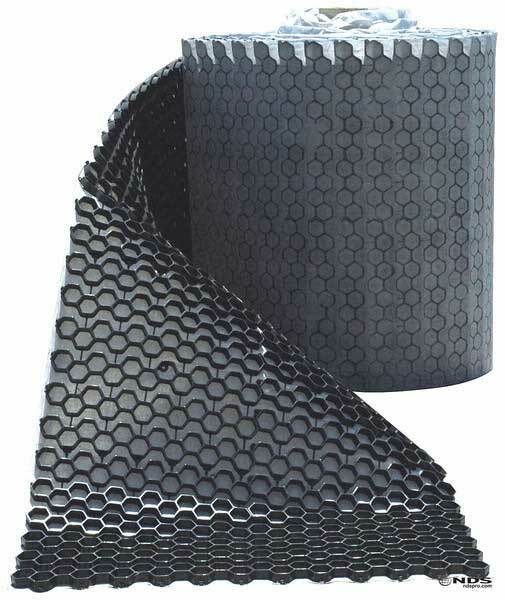 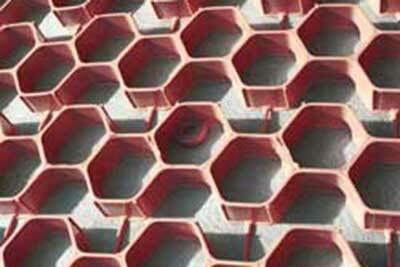 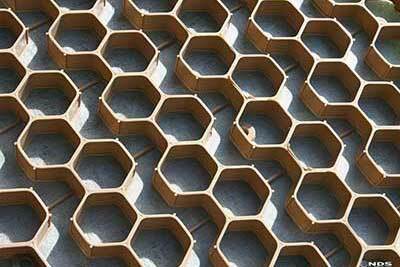 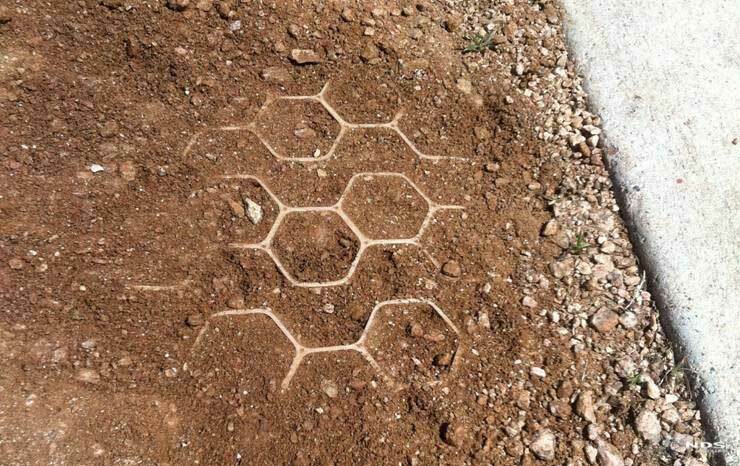 Fused hexagonal design provides superior strength and long term durability when compared to pavers which rely on linked circles or squares for strength. 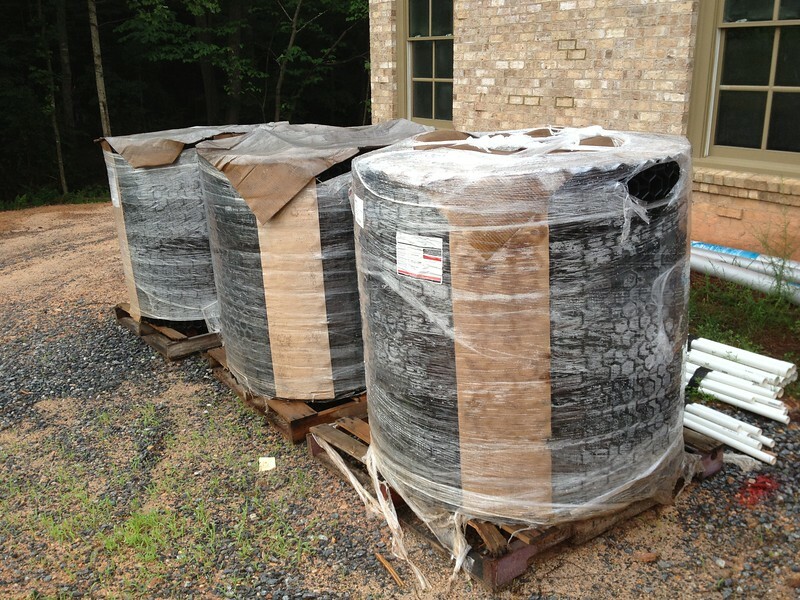 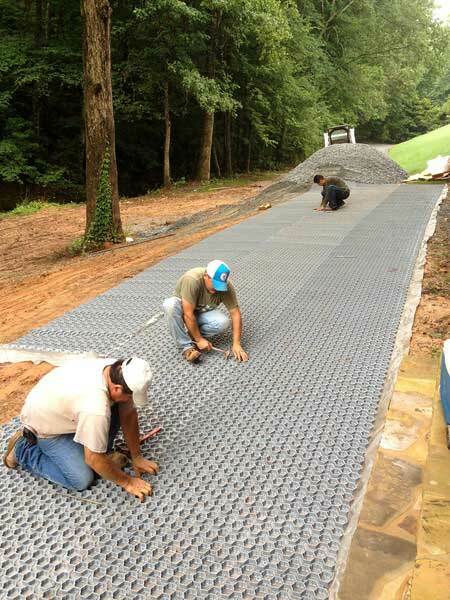 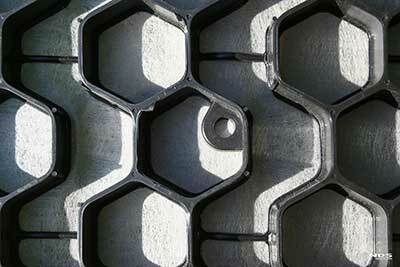 DuPont GroundGrid is available in 4' x 26' sections and are perfect for smaller projects. 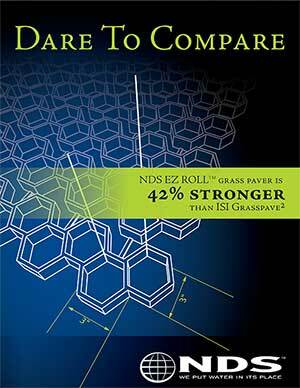 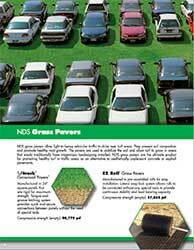 NDS EZ-Roll gravel pavers are available in 4 different colors to match the surrounding terrain. 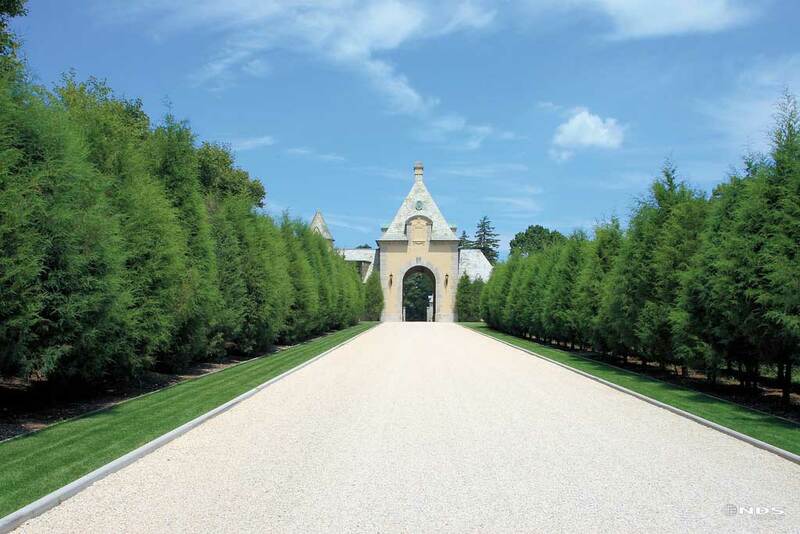 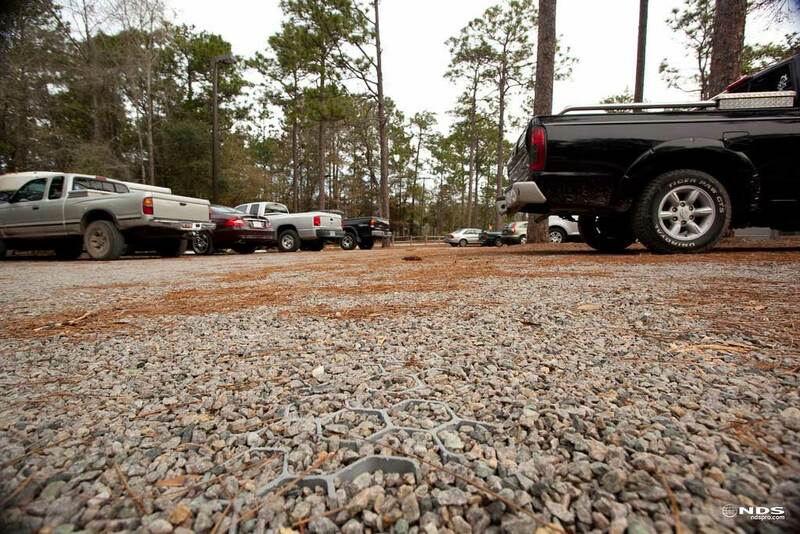 EZ Roll Gravel Pavers reduce erosion and help maintain the look and functionality of a gravel road or parking lot. 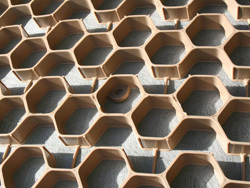 Made with 100% recycled materials, the pavers also minimize surface water runoff and present an attractive and sustainable alternative to traditional concrete or asphalt. 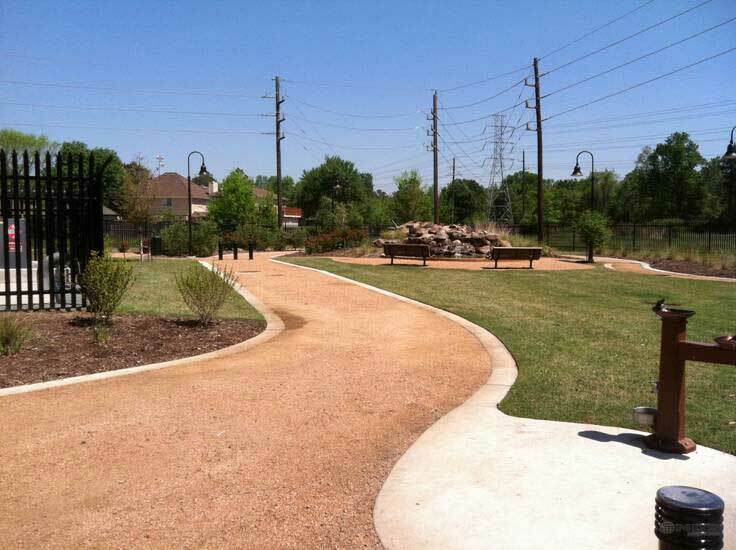 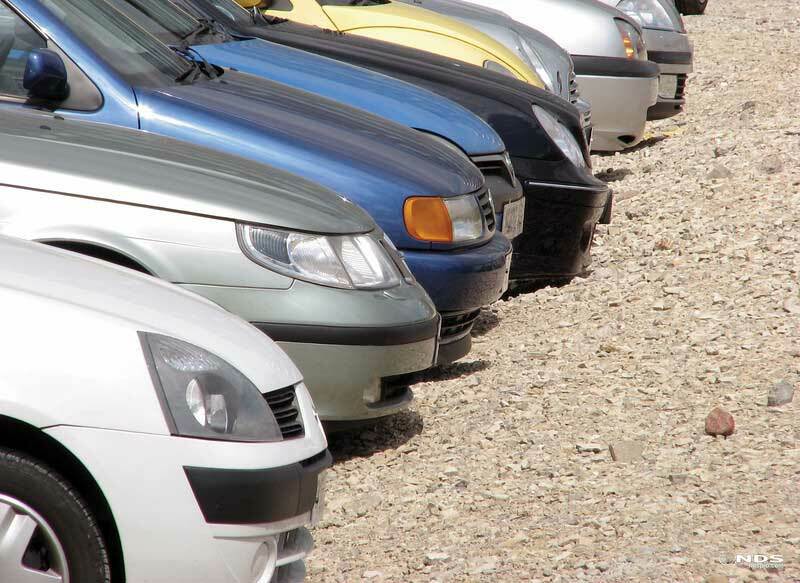 Recommended Applications: Golf cart paths, service roads, jogging tracks, bike paths, truck & cart wash-down areas, RV & boat access and parking, residential driveways, parking lots, overflow parking lots, roadways shoulders, fire lanes, emergency vehicle access roads, truck maintenance and equipment yards, construction entrance soil stabilization. 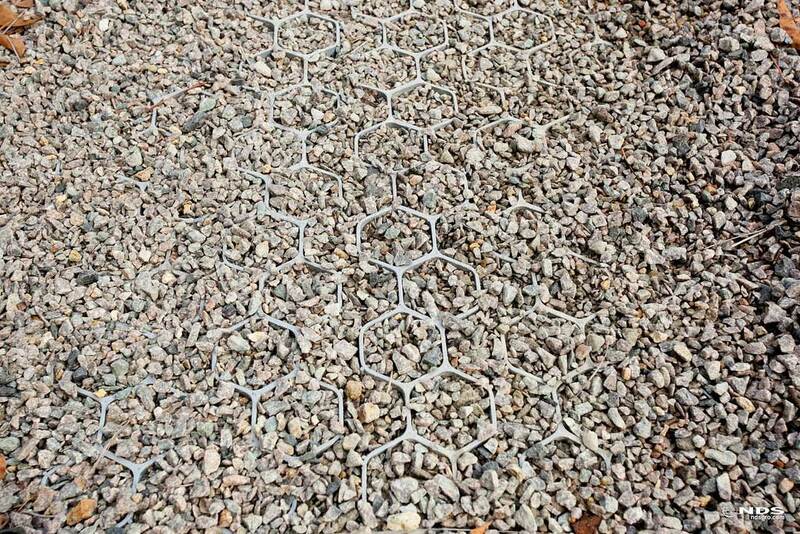 In addition to these load applications, EZ Roll Gravel Pavers are also an effective solution for erosion control on slopes and in swales. 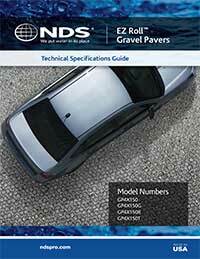 NDS gravel pavers are available in tan, black, brick red, and gray to provide design flexibility when choosing gravel color and application. 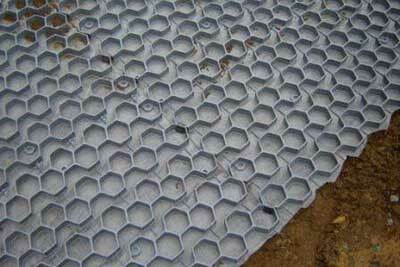 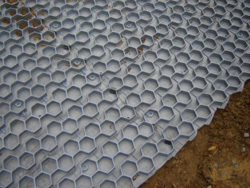 A continuous piece of geotextile fabric provides the strength to hold the gravel fill in place, yet is porous to allow for the filtration of stormwater runoff. 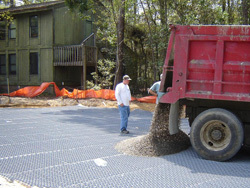 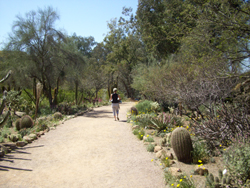 To fill for the gravel paver, use clean, washed gravel that is uniform in size and sized between 3/16" and 3/8". 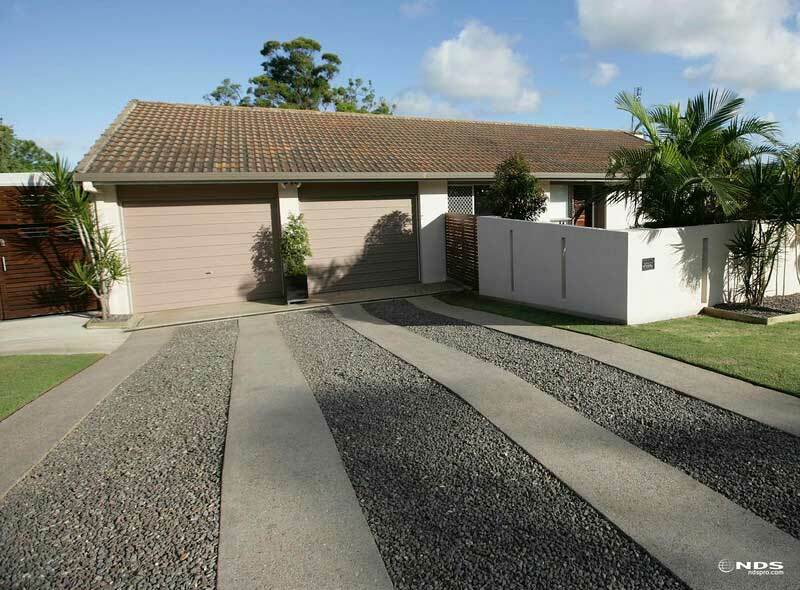 Angular stones work best and will not migrate as round stones will.